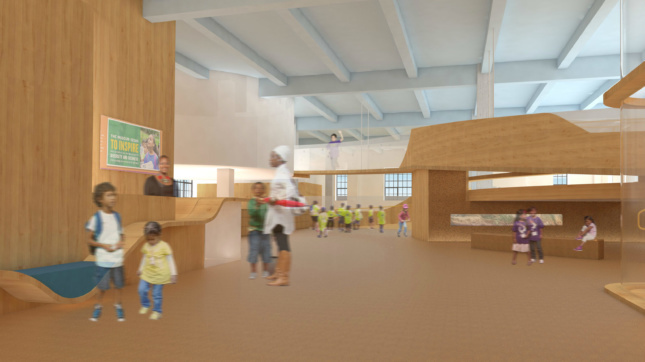 The city’s 13,800-square-foot, LEED-certified facility (previously a powerhouse) will double as the Bronx Children's Museum's permanent home. The Bronx Children’s Museum is inching closer to reality: the project broke ground yesterday in Mill Pond Park, which is steps away from the Yankee Stadium. The $10.3 million, 13,800-square-foot museum also doubles as a restoration project. 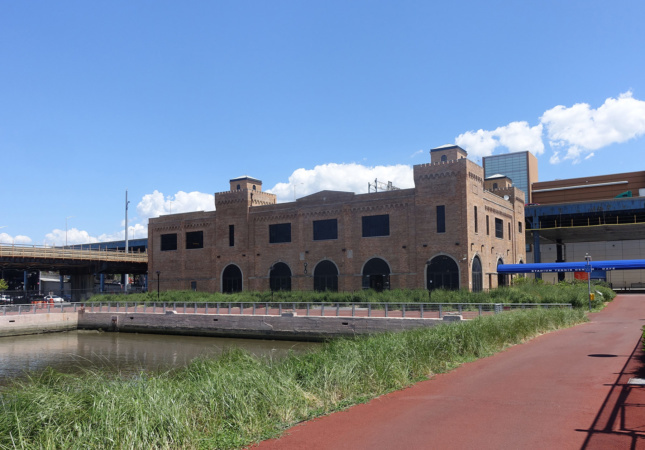 A historic powerhouse facility will act as the museum’s permanent home, which is slated to be LEED-certified. The museum will sit on the second floor, with the first floor providing access to the river, park, and tennis courts. The Bronx is the only borough in New York City that doesn’t have a brick-and-mortar children’s museum. Previously, the museum used a roving bus that hosted exhibits. Designed by New York–based O’Neill McVoy Architects, the Bronx Children’s Museum’s design aims to catalyze its site—located between the city grid and the bank of the Harlem River—by creating an organic flow within the rectangular frame. 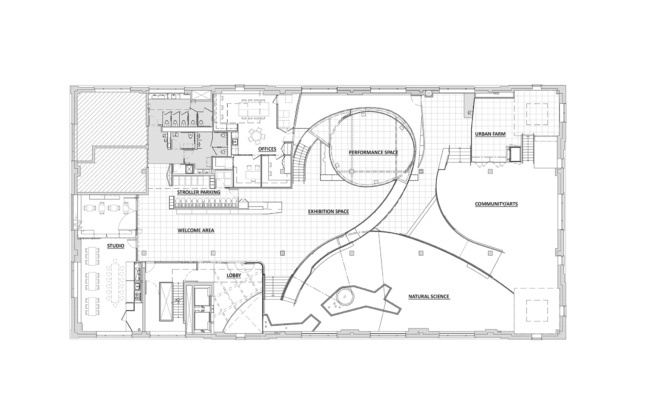 The museum hopes to connect children to the natural world and the project’s design was inspired by Jean Piaget’s concept of a child’s development from topological to projective, according to the architects’ description. Curved wooden and translucent partitions diverge, reconnect, and spiral throughout the space to create both continuity and separation between exhibition spaces. The theme of “Power” will unify all of the exhibits, which will also explore Bronx culture, arts, and community resources. In accordance with its vision to engage children with their natural environment, there will be a river habitat where visitors can build beaver dams and learn about water ecosystems. There will also be a community gallery, garden, and a greenmarket. The museum is projected to open in late 2018.